Mornings are tough... we all know this. What better way to turn that morning frown upside down then to take a breakfast treat that we ABOLOUTELY adore and dip it in hot chocolate to make it that much better. We stumbled upon this Half Baked Harvest recipe and we think it deserves a revival. 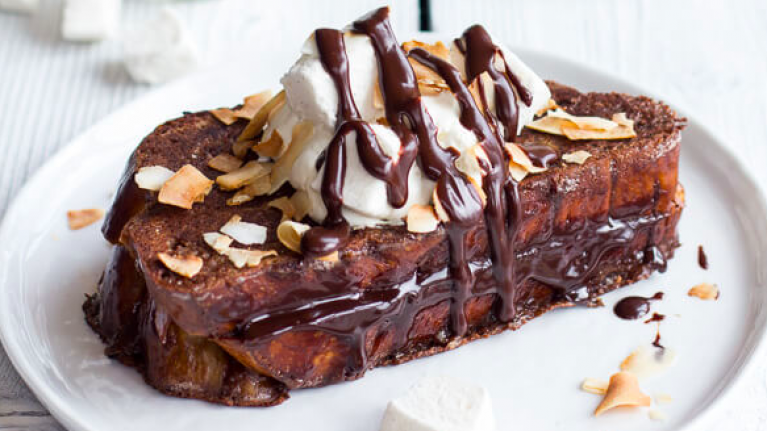 It's a different (chocolatey) take on the classic french toast and with Christmas just around the corner, we should all just LIVE A LITTLE (we may be shouting to convince ourselves). Technically speaking this is a dessert it's not a breakfast, but again we are hearing the pitter patter of Santa and his reindeer so chocolate for breakfast is ok right? (classic denial). Essentially it's the same as any other french toast except you're dipping it in eggy chocolate before you put it on the pan. Also, these breakfast cowboys are sandwiching the bread with chocolate ganache which they make from scratch. To be honest we're gonna simply try this with hot chocolate and eggy bread. 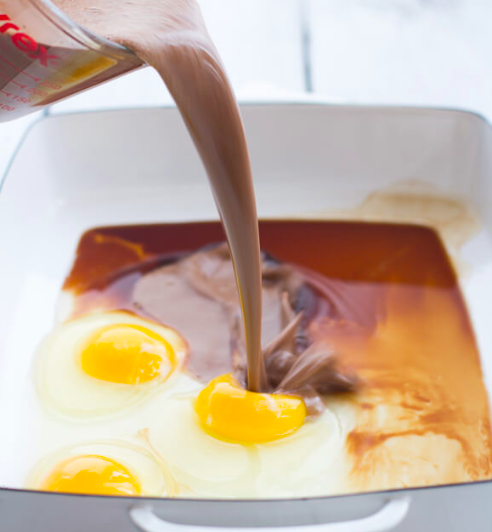 To be honest we're gonna simply try this with hot chocolate and eggy bread. You can read the full recipe here. Our version goes a little something like this. Obviously... we're not recommending you eat this every day, but what's one little treat on the weekend?